We're hearing that Khloe Kardashian and boyfriend Tristan Thompson are reportedly expecting a baby boy early next year, according to multipleoutlets. Cue brainstorming session for boy names beginning with K. Kenan? Kermit? Kanye II? We don't know. 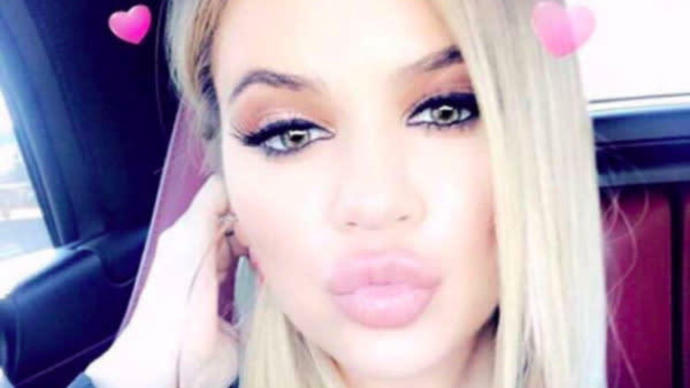 Even though the Kardashians have strangely stayed quiet on the issue, details about sisters Khloe, Kylie and Kim's apparent pregnancy trifecta continue to make the internet rounds. As it's been said before, the devil works hard but Kris Jenner works harder. Kardashian's pregnancy was confirmed in September just days after reports claimed that 20-year-old Kylie was pregnant with rapper Travis Scott's child. At the time, Khloe was said to be three months pregnant after conceiving naturally. Sister Kim is also currently expecting her third child via surrogate. This will be Khloe's first child, while Thompson already has a 10-month-old son from a previous relationship with ex-girlfriend Jordan Craig. Of course, momager Kris Jenner has come closest among the family to outright confirm that Khloe is pregnant, telling Entertainment Tonight that she is "over the moon" about her daughter being in a great place in here life. "We love Tristan so much, and she's so happy, and she's been through so much," Jenner said. "Just seeing her be able to do something so creative with [her denim line] Good American ― that's her passion. On top of it, to be in such a great place in her personal life is amazing. She's really happy." Khloe, meanwhile, has been laying low save for promoting her Good American clothing line here, and a new lip kit collaboration with sister Kylie there. The two appeared on camera together for a video released on Tuesday after news of their pregnancies broke. Rocking matching blond tresses, the sisters experiment with the new products in the video, while joking about having "so many babies." It's almost like they're trying to tell us something. While we're still waiting for Khloe to address the rumors herself, rest assured that her offspring will likely be featured for years to come on the family's reality TV show, which just got renewed until 2020.